A severe thunderstorm is expected to roll through the New York City area later this evening. As it approaches and lightning begins to illuminate the sky, you can estimate how far away the storm is with some simple math. 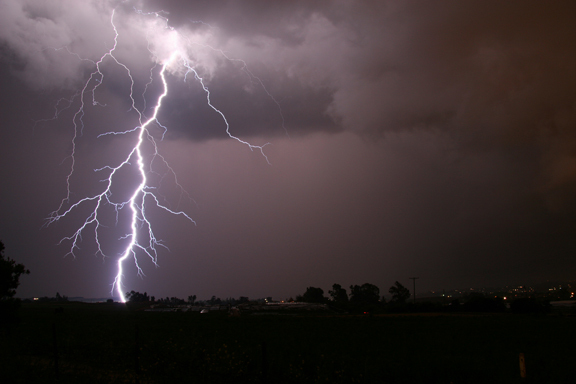 Since lightning travels at approximately the speed of light – 186,000 miles per second – you see it almost instantly. Thunder, on the other hand, travels at the speed of sound – about one mile in five seconds – at the Earth’s surface. These different rates of travel allow you to estimate the distance between yourself and the lightning. For example, if you count fifteen seconds between seeing lightning flash in the sky and hearing a clap of thunder, the lightning is about three miles away. Cloud to ground lightning strike. While spending a weekend at the beach recently, I was reminded how pleasant a sea breeze can feel on a hot summer afternoon. A sea breeze is a localized, daytime wind driven by the temperature difference between land and a large body of water. Since land is able to absorb the sun’s energy more quickly than water, it warms faster. As a result, air over the ground heats and rises, creating an area of low pressure. Cooler air is then drawn from the zone of higher-pressure above the ocean to fill the void, forming an onshore breeze. These winds typically start flowing around mid-day and last throughout the afternoon. They are valued for their moderating influence on local temperatures, keeping coastal areas cooler than their inland neighbors during the warmest months of the year. The drought of 2012 has gone from bad to worse this summer as relentlessly hot and dry conditions continue to dominate the central United States. Once drought takes hold of a region, it tends to feed on itself in a vicious cycle. To start, high temperatures increase evaporation rates causing the soil to dry out. Without plentiful rain to replace the moisture, the sun’s energy heats the ground and the air even further. The parched ground is then unable to support healthy vegetation that would release moisture into the air through transpiration. Humidity levels then drop and the air becomes even less able to produce rain, making the affected area even drier. 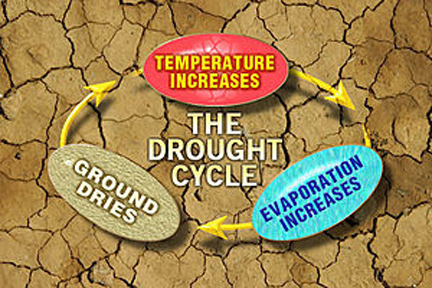 To break this cycle, a drought stricken region needs more than a few spotty showers. It requires drenching rains on a regular basis. Alas, these are not in the forecast for America’s desiccated heartland. The widespread drought of 2012 is now considered the worst that the United States has seen in more than fifty years. The nation’s agricultural heartland has been particularly hard hit, and losses there are forecast to have a ripple effect throughout the economy. According to the U.S. Department of Agriculture, 1,297 counties in 29 states have been designated as natural disaster areas. With grazing lands going barren and staple crops like corn and soybeans wilting in the ground, potential farm yields are plummeting. Following the laws of supply and demand, consumers all across the country will soon be paying higher prices for food. The cost of many other goods is also expected to rise, as corn is used in a wide variety of products. It is a key ingredient in items like livestock-feed, ethanol, and anything that contains corn syrup. Devastating and costly, this drought is likely to intensify as hot and dry conditions continue to dominate the weather in the mid-west. 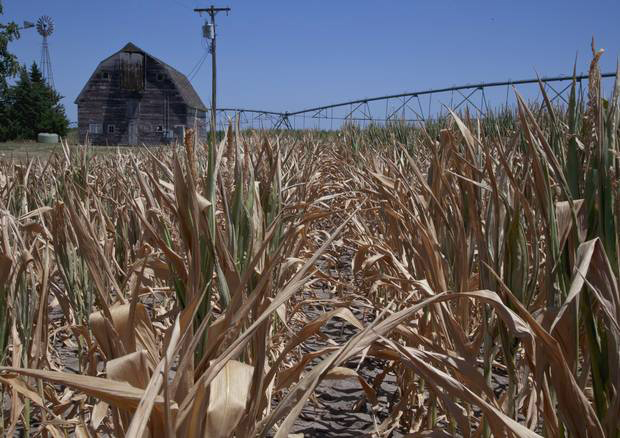 While not on the same scale as the Dust Bowl of the Great Depression, many analysts expect this year’s drought to rank as a billion dollar natural disaster. Corn crop withers in drought stricken field. Drought, an extended period of below average precipitation, has been plaguing many parts of the United States this summer. According to the U.S. Drought Monitor, 61% of this country is currently suffering in a state of moderate drought or worse. This is the largest area ever recorded in the monitor’s twelve-year history. Experts say that this year’s widespread drought has been developing for months and cite the unusual position of the jet stream as a key factor. Often referred to as the “storm track”, the jet stream typically travels across the middle of the country in winter and spring, bringing vital snow and rain to the region. This year, however, it has been persistently flowing far to the north. As a result, abnormally hot and dry conditions have been dominating much of the nation. Without any soaking rains in the forecast, this drought is expected to get worse before it gets better. Summer is wildfire season in the American West, and it is off to a raging start. Fueled by prolonged drought and extreme heat, many experts agree that climate change is a significant contributing factor to this year’s widespread fires. According to NOAA, the past eleven years have all ranked among the warmest on record in terms of global average temperatures. This warming trend, scientists report, is causing an increase in both the frequency and intensity of many dangerous weather phenomena, including forest fires. This year, hot and dry conditions have dominated much of the United States. In fact, this summer’s excessive heat follows our country’s warmest spring ever and fourth warmest winter to date. In the West, these unusually mild conditions did not allow a sizeable snow pack to accumulate in the mountains, reducing spring run-off. As a result, the region is parched and susceptible to any type of spark. Warmer winters have also allowed the Rocky Mountain Pine Beetle population to explode and spread to higher elevations. Feeding on various types of pines, the beetles leave large stands of dead trees in their wake when they move through an area. 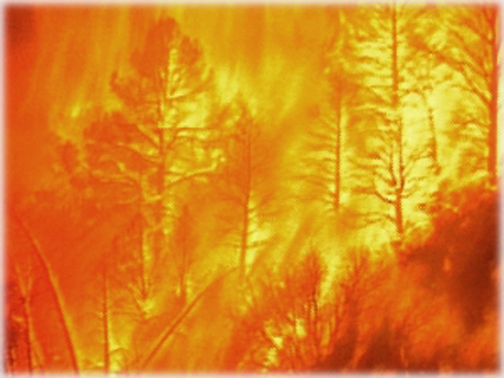 These ghost forests then essentially act as kindling for potential wildfires. As of today, nearly forty large fires are burning in ten western states. Despite the arrival of the region’s monsoon season, many of these destructive flames are expected to continue blazing throughout the summer. Intense wildfires burn across the American West. The “Dog Days” of summer have arrived. This popular saying refers to the hottest and most oppressive days of the season. Varying by latitude around the globe, they traditionally run from July 3rd to August 11th in the United States. Rooted in astronomy, this non-technical weather phrase is linked to Sirius – the Dog Star. During most of July and August, Sirius rises and sets with our Sun. As one of the brightest stars in the night sky, ancient Greeks and Romans believed its conjunction with the Sun added extra heat to the summer months, causing temperatures to soar. Today, we know that light from this distant star does not affect our weather, but the name has endured. The Earth will reach its aphelion today at 11 P.M. Eastern Daylight Time. This is the point in the planet’s elliptical orbit where it is farthest from the Sun. Today, the Earth is about 152 million kilometers away from its nearest star. That is approximately 5 million kilometers further than during the perihelion in early January. The exact date of the aphelion differs from year to year, but it’s usually in early July. The planet’s distance from the Sun does not cause the seasons, but it does influence their length. As a function of gravity, the closer the planet is to the Sun, the faster it moves. So, at the aphelion, the Earth will move more slowly along its orbital path than at any other time of the year. As a result, summer is elongated by a few days in the northern hemisphere. 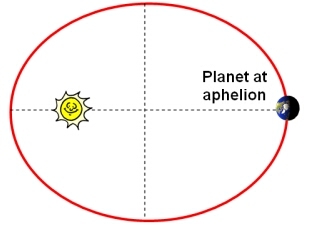 The word, aphelion, is Greek for “away from sun”. 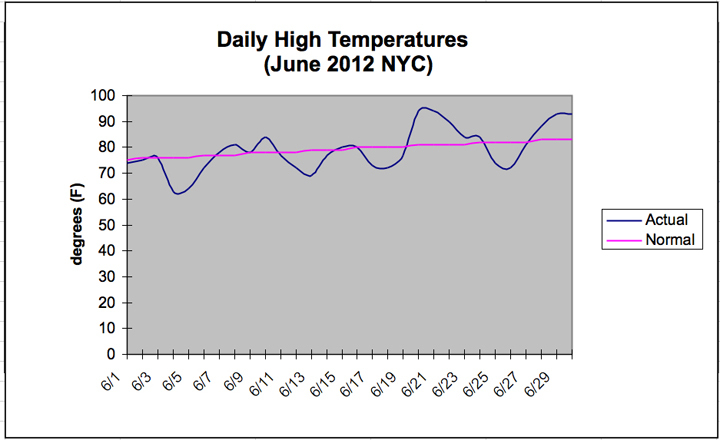 This year, June was a roller-coaster of temperatures in New York City. We started off cooler than normal, but warmed up toward the end of the month with two separate heat waves – periods of at least three consecutive days with temperatures above 90°F. Despite this uneven distribution of heat, the city ended the month exactly average at 71°F. In terms of precipitation, NYC was below normal. In spite of the month’s soggy start and numerous thunderstorms, only 2.97 inches of rain was measured in Central Park. That is 1.44 inches below average. Although the city is working with a rain deficit, we are not currently highlighted on the U.S. Drought Monitor.